The need for guardianship and care management services to those suffering from a mental incapacity continues to grow, along with the rising elderly population. Decision-making is something we usually take for granted. When a person is unable to make decisions for him or herself, matters can become complicated. People lose mental abilities when their memory and awareness are affected by dementia. Mental illness may affect mental capacity in varying degrees and varying times. Learning difficulties may permanently limit a person’s capacity. Or, people may have less mental abilities because of a brain injury or stroke. Mrs. Sheila Watts Collier is the Owner/ Manager of Covenant Outreach, LLC. , a private professional guardianship agency organized August 31, 1997. Covenant Outreach, LLC provides guardianship and care management services to aged and disabled adults. Covenant Outreach is located in Abilene, Texas. 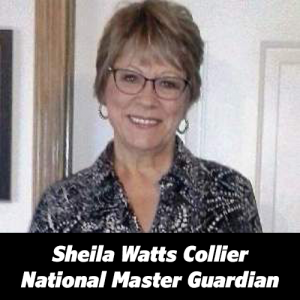 Sheila is a Texas Certified Guardian by the Judicial Branch Certification Commission, and a National Master Guardian through the Center for Guardianship Certification. Sheila has served as Chairman of the Aging Cluster of the Abilene Coordinating Council; Secretary of the local Advisory Council of the Alzheimer’s Association; was a Board member of the Kiwanis Club of Abilene; and a Board Member of Adult Protective Service Partners, Inc.. Covenant Outreach, LLC is a member the Texas Guardianship Association, and the National Guardianship Association, thereby staying informed of ever-changing legislation and receiving educational opportunities related to guardianship services. 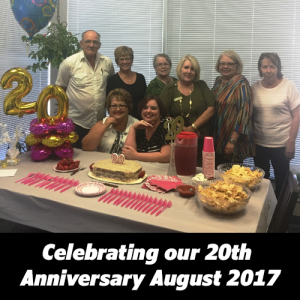 The Covenant Outreach, LLC guardianship program currently provides guardianship services in 16 Texas counties for approximately 100 adults. These individuals are diagnosed with Alzheimer’s, mental retardation, or are victims of stroke, head injuries, or other debilitating diseases. The Wards reside in nursing homes, residential group homes, in their own private residences, or in a State Supported Living Center. Guardianship appointments are of the person only, estate only, or both person and estate. As Court-appointed Guardian of a Ward’s Estate, Covenant Outreach, LLC has had opportunities to manage significant financial estates ranging from $100,000 to $2 million. On the other hand, many of our clients are receiving Medicaid benefits to provide for their institutional care. Sheila also personally serves as a Trustee of Trusts, and an Administrator of deceased individuals’ estates when there is no one else to provide these services. Covenant Outreach, LLC is registered as Private Professional Guardian pursuant to Subchapter G, Section 1104 of the Estates Code. © 2019 COVENANT OUTREACH, LLC.